Free WIFI, large work space, 26" LCD TV, minibar. 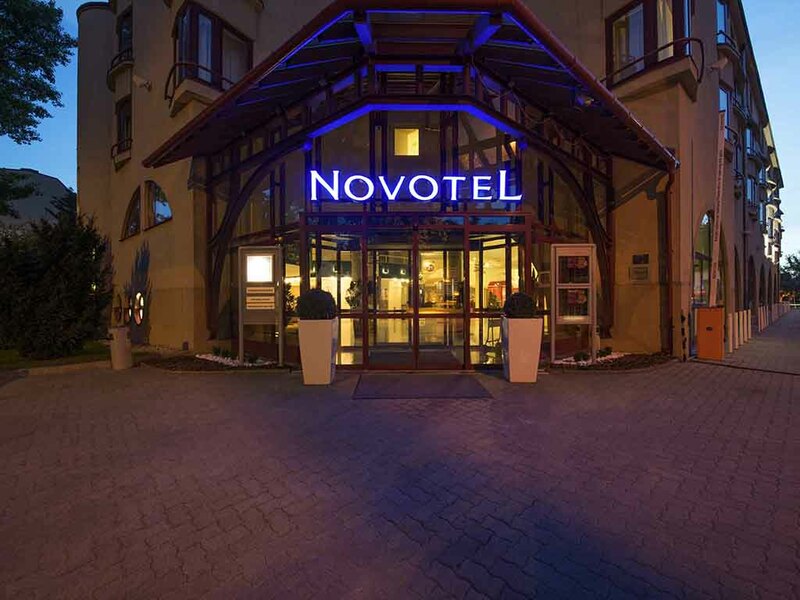 Spacious, adaptable and with contemporary design, the Novotel room is truly a place for living. Perfect for all your needs. Our Cafe Alba restaurant is located on the ground floor with an outdoor terrace. In our new offer every guest can find a course that fits their taste. Hungarian and international dishes, permanent seasonal offers, selected Hungarian wines. Our lobby bar awaits our guests with cocktails drinks, fresh cakes, and fruit salads.